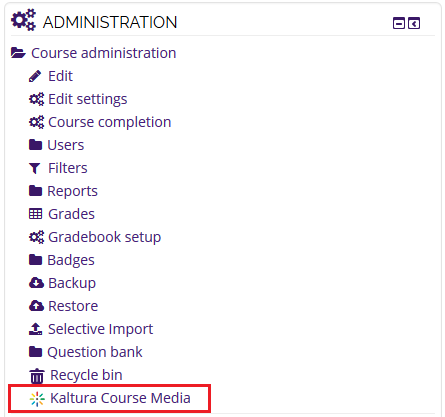 In the Kaltura Course Media Gallery, you can view Analytics for your videos or remove them from the Course Media. 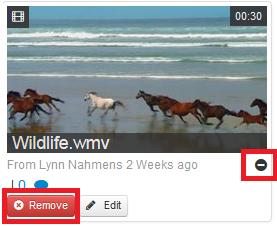 NOTE: Deleting a video means removing every instance of that video, and it CANNOT be retrieved. If a student deletes a video, it is also deleted from any Kaltura Video Assignment to which they have submitted it. 3. Click on the "+" button near the bottom right corner of a video and select Remove. 3. Click on the Actions button and select Analytics. 4. The page that is displayed shows the Analytics for each video in the Course Media Gallery. You can make further selections based on what you would like to see. You can filter by days, view the 'Top Engaged Users', or click View all to see each stats for each individual student.